Gary Libman was a microbiologist, among many other things. 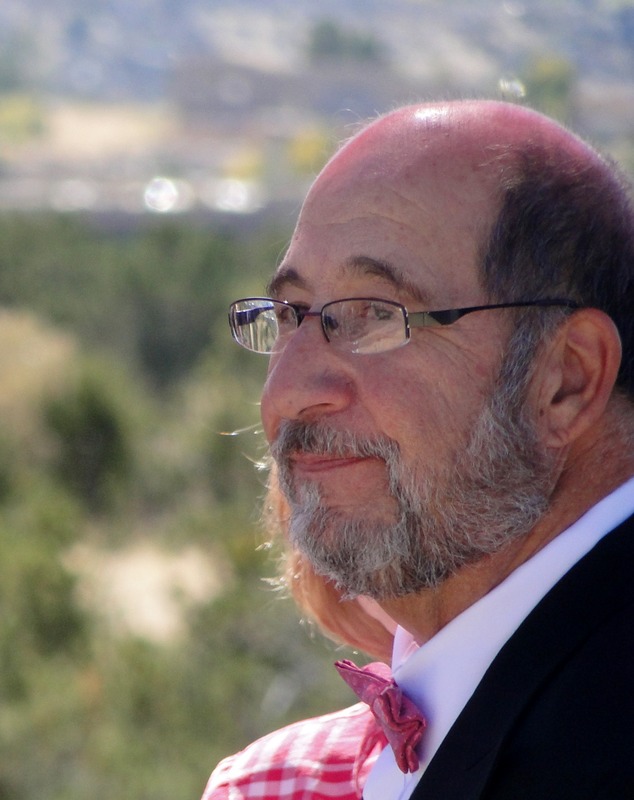 So he understood better than most the horrendous odds he faced when diagnosed in June 2015 with Blastic Plasmacytoid Dendritic Cell Neoplasm (BPDCN), the rarest and most aggressive leukemia invented to date. I had to create a mnemonic, Banjo Player Destroys Cancer Nemesis, just to learn the name of his illness. Off he and Erika went to MD Anderson Cancer Center in Houston, TX, the experts in treating BPDCN. Gary was upbeat, positive and hopeful. He endured a month of isolation with only his banjo (and possibly a few guests dressed in clean suits), multiple chemotherapies, and a stem cell transplant. The music and dance community, along with Gary and Erika’s families and other friends, sent well-wishes, support, and jokes via email, snail mail, and phone. Some even appeared in person to entertain Gary through the glass of his isolation room. I imagined him and his guests holding their hands up to their respective side of the glass, palm ‘touching’ palm, to say ‘hello.’ After months of endurance, voila! His leukemia was beaten into remission. No detectable trace. Magic words in the cancer realm. 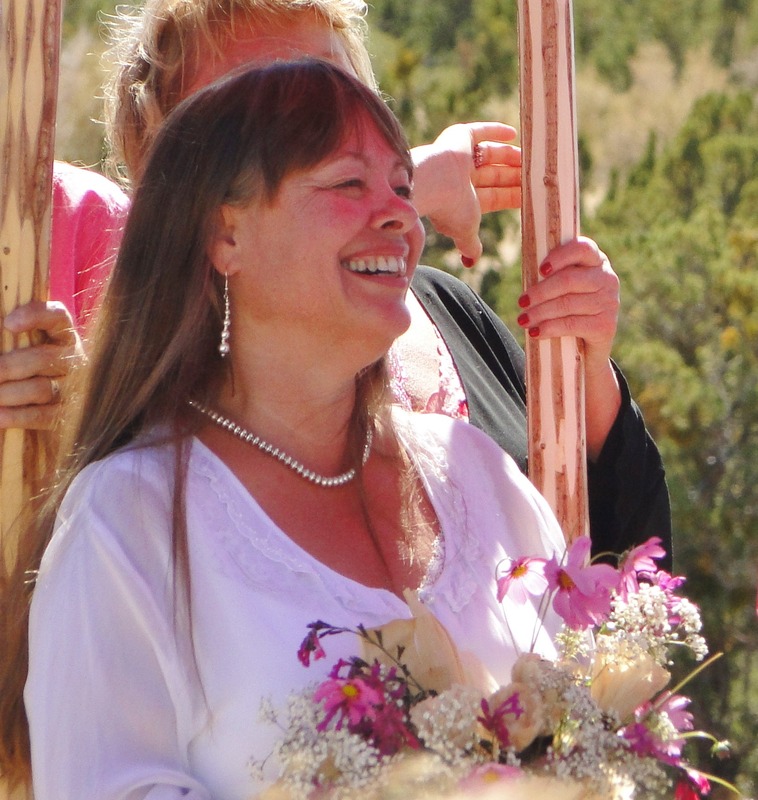 Gary and Erika got sprung from the medical maw in October 2015, attended Boo Camp in the Jemez Mountains, played music and danced, tried to avoid germs that might compromise Gary’s recovery. They moved into their new home in the foothills of the Sandia Mountains, celebrated holidays, grieved the loss of Gary’s mom in January 2016, two weeks shy of her 100th birthday. They enjoyed life, love, music, friends and family. His hematologist pronounced him ‘boring’ because his leukemia was at bay. When he reported this to me, I could see that he was truly delighted. But in April 2016 Gary’s leukemia returned, and he and Erika returned to MD Anderson in Houston. So many ups and downs ensued. He and Erika did come back to Albuquerque on June 4 for the Albuquerque Folk Festival that Gary co-directed. 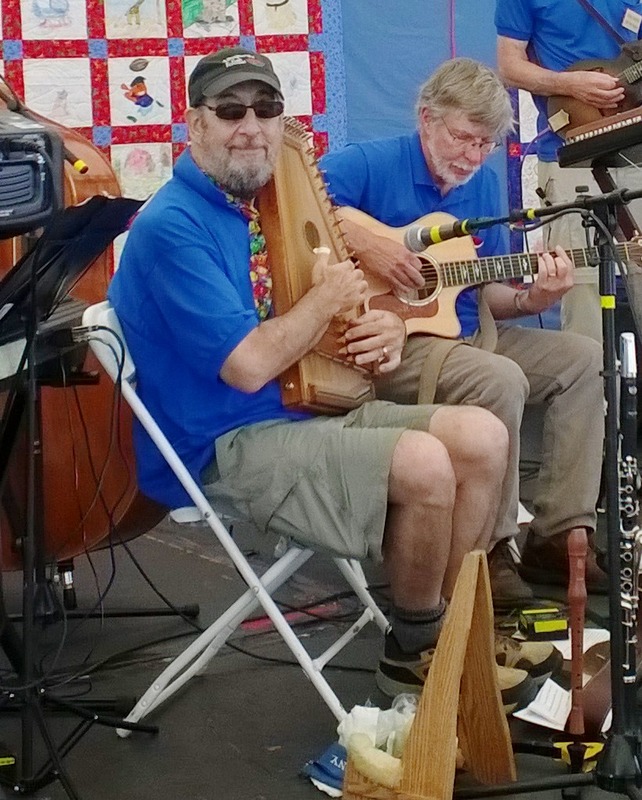 He played banjo, clarinet and autoharp onstage, resting between events. During the next few months, various friends and family visited Houston as the medical world tried to beat Gary’s leukemia back into remission. Despite numerous infections and weakness, he and Erika celebrated their 4th wedding anniversary on October 14 with friends. Then his earthly journey ended on Tuesday, October 18, 2016. I recount this summary to remind myself that Gary and Erika and MD Anderson did all they possibly could to combat Gary’s BPDCN. And I believe the root of Gary’s fierce determination was one simple fact: he did not want to leave Erika and his other family members. He gave it his best shot, endured hell, jumped through all the medical hoops, even those in uncharted territory. “He fought hard” as someone posted on facebook. But biology, which will end each of our lives someday, prevailed. And now the world, my world at least, is a little less bright, a little less funny, a little less humane, a little less compassionate, a little less loving, a little less kind. Because Gary was all those things: bright, funny (funny as hell! ), humane, compassionate, loving, kind. He was a prince among men. He and Erika deserved more years of health and happiness, love and laughter. Yet they made the best of what they got. I loved hearing Erika guffaw at Gary’s jokes. I loved Gary’s jokes; he was my joke writer when I was onstage, calling dances. A true funnyman, a gifted comic, a clever wordsmith. He could find humor in the darkest situation. Gary and Erika’s primary passion (besides each other) was making music together and with others. 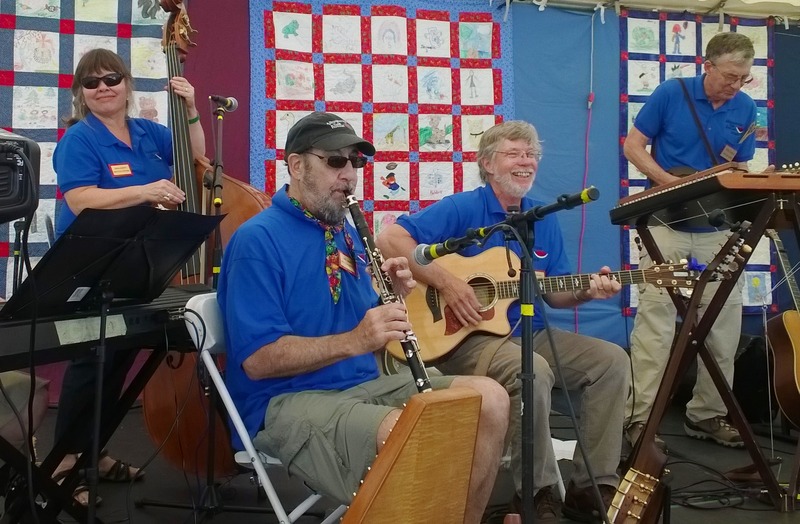 Their various bands and their commitment to organizing and running the Albuquerque Folk Festival energized our music and dance community. 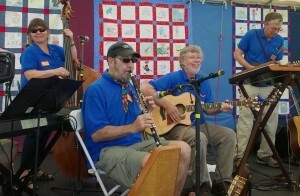 Unassuming, hard-working, creative, organized, they donated enormous time, energy, ideas, and money to musical causes. I was thrilled when they asked me to officiate at their wedding in 2012. They were the 16th folk couple I married. Their beautiful wedding in the foothills of the Sandia Mountains was magical, memorable for the variety of traditions, music, dance and pink boots that it included. They were married exactly four years and four days. They packed a lot into those four years and four days: travel, bicycling, camping, music festivals, jams, concerts, performances. They got to the “for better or worse, in sickness and health” part pretty quickly. Erika didn’t miss a beat. She stepped up, assuming the role of caregiver, morale booster, coordinator, protector, and partner throughout Gary’s illness. None of us knows how long our life pendulum will swing. To say one should live with purpose and love well might strike some as simplistic. But that’s exactly what Gary and Erika did…they lived with purpose and loved well during easy and challenging times. This approach proved both simple and complex, true and heartfelt. e.e. cummings wrote a love poem, “i carry your heart with me (i carry it in my heart),” which evokes the deep connection that Gary and Erika shared. The poem also reminds us to cherish those whom we love. May we all carry Gary and Erika in our hearts. May we watch over Erika as she grieves the loss of her beloved companion and our beloved friend. Posted: 10|20|16 at 2:15 pm. Filed under: Uncategorized. So well said Merri. Thank you for putting into words what we have all been struggling with the last few,days. Our love goes out to Erika and her family and to Gary’s family. Gary will be missed but not forgotten. adios, schlomo! miss you brother. i am glad our paths intersected, that we became friends. i came and stayed at chew guise house a time or two, while in burque. sending love to sister erika. i’ll play a tune for you on the autoharp, brother. may your flight to the Big Jam be smooth. That is such a beautiful tribute Merri. I am grateful to have loved so deeply and to be able to share that with all our friends and community. Sending love to you. Sorry for your loss and the community’s loss.